Clover mites are small, red, orange-brown or dark green mites with a round body and eight legs (Figure 1). They are larger than other common mite species (two-spotted spider mite) and can be easily seen by the human eye (Figure 2). The front pair of legs are as long, or longer than, the length of its body and can sometimes look like antennae the way they are held along the head capsule, in front of the body. Immature stages are very bright red and are easily noticed. Clover mites are more often an annoyance in northern states, but have been noted as a pest in different parts of North Carolina during certain years. Figure 1. A group of clover mites on grass. Figure 2. 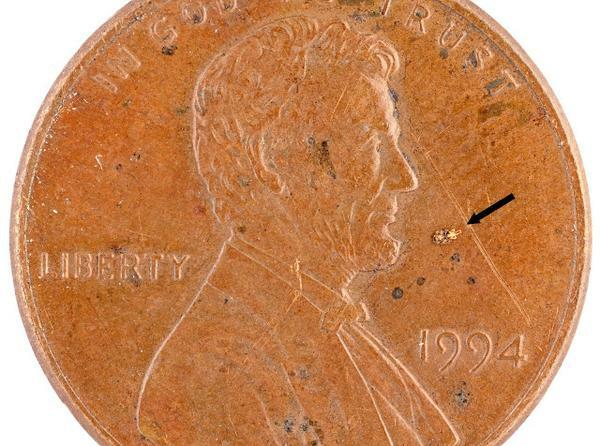 A dried clover mite specimen on a US penny. Clover mites can infest homes and buildings in the fall and late spring/early summer but are typically more of problem from April through mid-June. They do not cause any structural damage but can be unsightly when they appear in large numbers and will leave behind a red-brown smear stain when physically removed from a surface. They can survive on a number of plants but typically inhabit grasses and weeds and so are often more of a problem on the side of a building facing a well-maintained or densely planted lawn. They are generally more prevalent in areas with direct sunlight. Female mites lay about 70 unfertilized eggs each in late spring and hatch and become active when temperatures are between 50° and 75° F. Females will continue to lay eggs until temperatures regularly exceed 85 degrees F, at which time, they will lay eggs that will not hatch until cooler temperatures return. 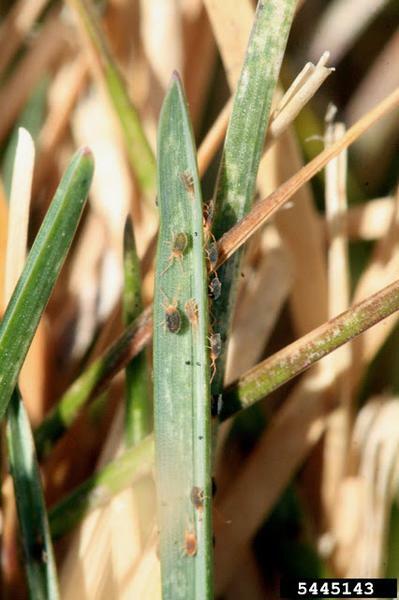 Mite populations undergo two or more generations each season while moderate temperatures last. Clover mites are more of a problem new lawns and lawns that have been heavily fertilized. They may also become a problem during a period of drought as they become more mobile as the turf dries. Direct damage to the turf is almost unnoticeable, but may appear as tiny, feeding spots on the blade surface. Preventing clover mites from entering a home or building can be accomplished by caulking and weather-stripping around windows, doors and cracks, particularly on surfaces near managed turf. If mite infestations are severe, remove all plant material around the building, leaving a bare strip about two feet wide as mites do not like to cross patches of bare, loose soil. Chemical control is usually not required but if clover mites become a routine problem, treat the lower three feet of foundation, and possibly a six to ten feet perimeter on the surrounding lawn, to prevent mites from entering a building. Recommendations for insecticides approved for use either indoors or outdoors can be found in CONTROL OF HOUSEHOLD PESTS in the NC Agricultural Chemicals Manual. Clover Mites, Bryobia praetiosa. Jacobs, S., Sr. 2014 (reviewed). 2014 (reviewed). Insect Advice from Extension, PennState College of Agricultural Sciences, Dept. of Entomology.